Come down and see us at 12 Minna St for all your locksmithing needs. 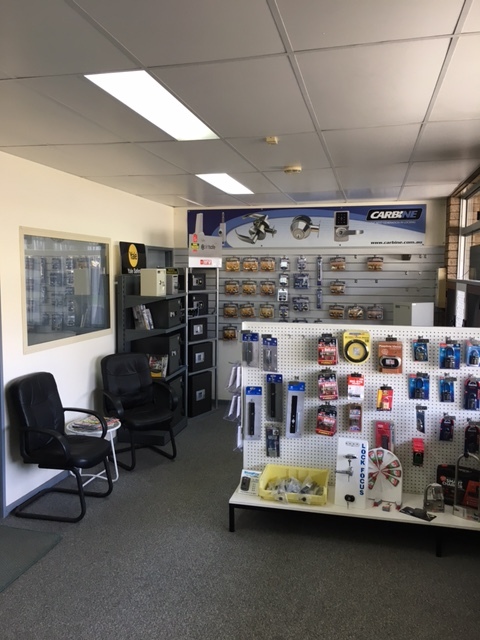 Our shopfront at Unit 1 / 12 Minna Street in Albany is a vibrant and well stocked showroom with displays of safes as well as domestic and commercial locks. Our highly trained and friendly staff are glad to answer all your questions and queries and always aim to provide you with prompt and efficient service. Our workshop consists of the latest in manual and automated key cutting machines and code software as well as a massive range of all the locks, keys, barrels and components imaginable in this intricate trade. We also have specialist vehicle repair and programming bays to ensure your car keys are cut and programmed correctly and to the highest standard. A client waiting area for those times when jobs take a little longer. 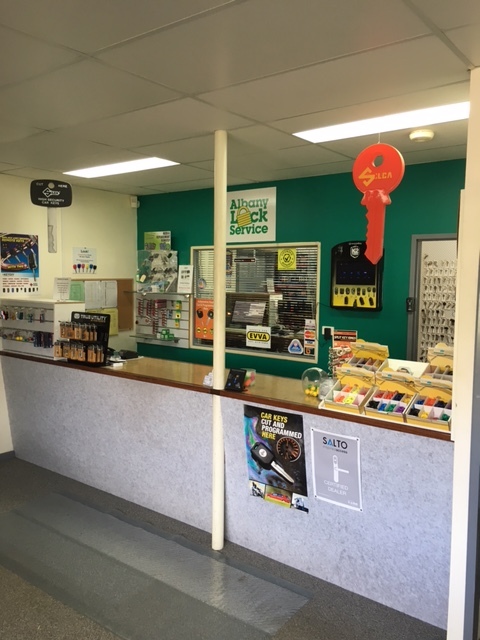 So if its a simple key you need cut for your house, a remote key for your car, or just some help or advice come down and see our friendly staff and we will ensure you leave our store a happy customer.